With the death of President Kim Jong Il, North Korea and its neighbors face some uncertainty about their future. But let’s hope that this will be a time when the United States does all in its power to signal openness and good will for the people of that little-understood nation of 23 million people. I just returned from Pyongyang with a team of American volunteers associated with The Fuller Center for Housing, which aims to help build houses for rural farmers in a tree nursery. In addition to working on construction details, we had opportunity to catch the spirit of some folks on the street and in the area of our projected building site. To my surprise, our hosts allowed our team to visit a Korean general market in Pyongyang. We rubbed shoulders with some of the hundreds of workers, school teachers or street cleaners who came to buy noodles, fish, sweaters or kerosene heaters from the red-smocked vender women lined up behind their low tables of household wares. One could only pray that never again would there be hostility between our peoples as there was 60 years ago when thousands of Americans and millions of Koreans lay dead or broken, and their cities and towns totally devastated. Positive signs are pushing up through the Korean winter. Little gestures of friendship or a simple Korean greeting brought many smiles of curiosity and friendship from the villagers carrying rocks for a building project. Restaurant waitresses served us with warmth and aplomb. When we expressed a desire for new beginnings of peace and understanding between our people, our Korean counterparts affirmed strongly such sentiments. Sometimes in international relationships we have been inclined to increase the level of fear so as to seek compliance to our wishes from the perceived foe. But a heightened climate of fear all too often seems to evoke only more defensive or dangerous responses. We would do well, now, to explore the opposite premise: that we are all likely to build healthier, more productive relationships when the climate of fear and suspicion is reduced. Certainly that has been the case in recent decades with respect to China and Vietnam. During this time of major leadership transition in the DPRK, perhaps now is the moment for our nation to signal new steps toward a more normalized relationship with the people of North Korea. About the author: Earl Martin worked many years in humanitarian aid programs in Asia. 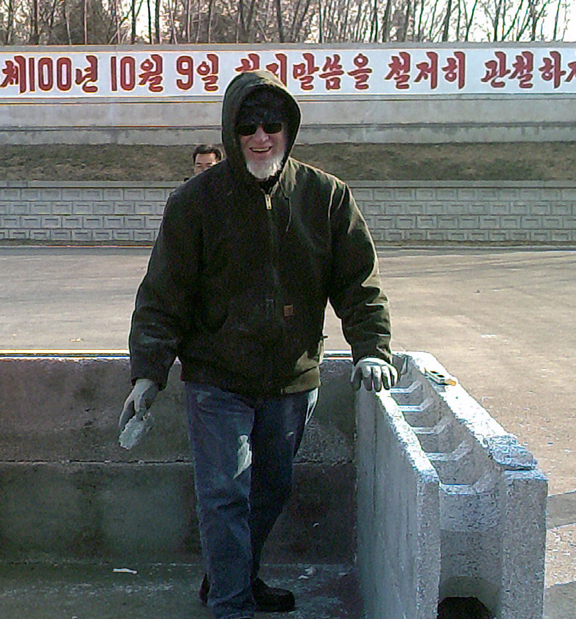 He visited North Korea with The Fuller Center for Housing Dec. 6-10, 2011. View a video of the group’s recent visit to North Korea by clicking here. Learn more about The Fuller Center’s work in North Korea.